After a short illness with pancreatic cancer, our beloved wife and mother passed away at the Kamloops Hospice on Christmas day. She loved Christmas and her family will always embrace her memory and joyfulness when we are together at this special time of year. Sharon was born the third child to George Eric Howatt and Jean Estelle Howatt (nee Stewart) in Summerside, P.E.I. Both parents are previously deceased. She is survived by her loving husband of 40 years Dr. Terry Simpson and her adult children Phillip Terrance Simpson and Sarah Howatt Simpson. She leaves her older sister, friend and confidante Mrs. Enid Mackay (Kensington, P.E.I.) and brother Dr. Erwin Howatt (Kensington, P.E.I. ), Mr. Wendell Howatt (Truro, Nova Scotia) and Dr. Eric Howatt (Wolfeville, Nova Scotia). She was generously loved by aunts, uncles, cousins, nieces, nephews, friends and colleagues too numerous to mention. A good student, she followed a friend in to nursing at P.E.I. hospital and graduated with an RN diploma in 1966. Looking for adventure she first moved to Guelph, Ontario then on to Vancouver in 1967. She became an avid skier and decided to stay on the west coast. She enjoyed teaching student nurses at VGH and returned to UBC for a BSN degree in 1971. 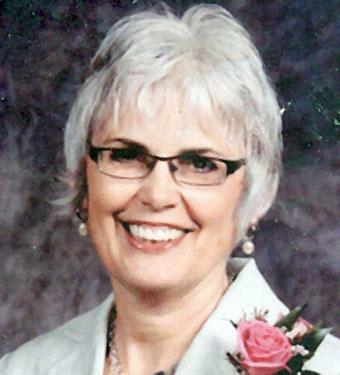 She was an early faculty member in the School of Nursing at Cariboo College. She went on to earn an MSN degree from 1988 - 1991 at the University of Portland, Oregon. A good teacher and lifelong student, she completed her education doctorate (EdD) from Simon Fraser University in the summer of 2013 prior to her illness. A casual acquaintance as a medical student, Terry Simpson became her husband in June 1973. The family wishes to thank the many friends, colleagues, doctors and family members who have contributed to Sharon's care and comfort over the past six months. A Celebration of Sharon's life will take place Saturday, January 4, 2014 at Calvary Community Church, 1205 Rogers Way at 1:00 p.m. followed by a reception. Her ashes will be interred at a later date following a memorial service in Kensington, P.E.I.